Some of the best recipes we know and love call for condensed soup. 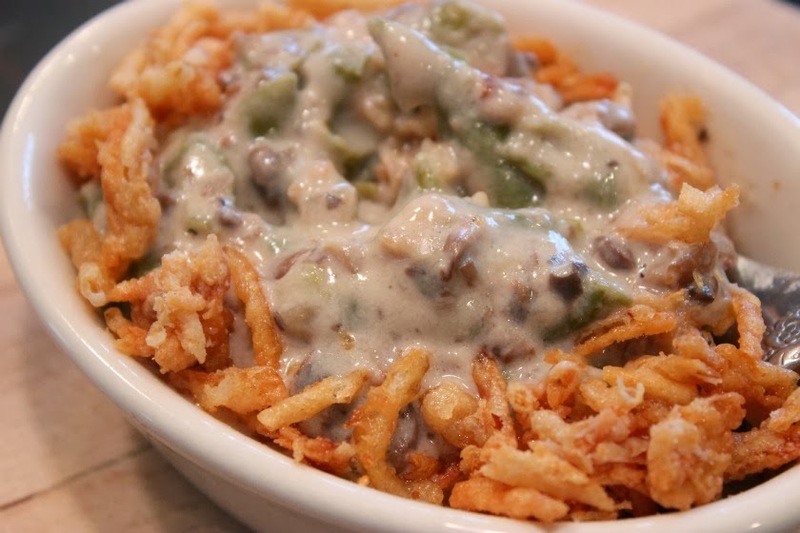 The famous green bean casserole, chicken pot pie - all the great casseroles we grew up with. If you are not fond of using "cream of anything" soups, then this is a recipe for you. This is simple recipe that takes no prep time at all, just a little simmering time. Substitute this for all your recipes and make them come alive again! 10 oz. Baby Bella Mushrooms, chopped 1/2 cup onion chopped 1 clove garlic, minced 2 Tbsp. unsalted butter 2 Tbsp. flour 2 cup low sodium chicken stock 1 cup half and half Salt and pepper to taste. In a medium saucepan, melt butter. Add onions, mushrooms and garlic and saute over medium heat until onions soften and mushrooms begin to release their juices, about 5 minutes. Add flour and mix well. Cook an additional 2 minutes. Add chicken broth and half and half and simmer on low until soup is reduced to 2 cups and has thickened. Add salt and pepper to taste. Soup will thicken upon cooling. Stores up to 1 week refrigerated. Add contents of jar and 1/2 cup water or milk for any recipe calling for 1 can of soup! This can also be made into cream of broccoli or celery soup by just swapping out ingredients! I like condensed soups . Lovely looking mushroom soup.